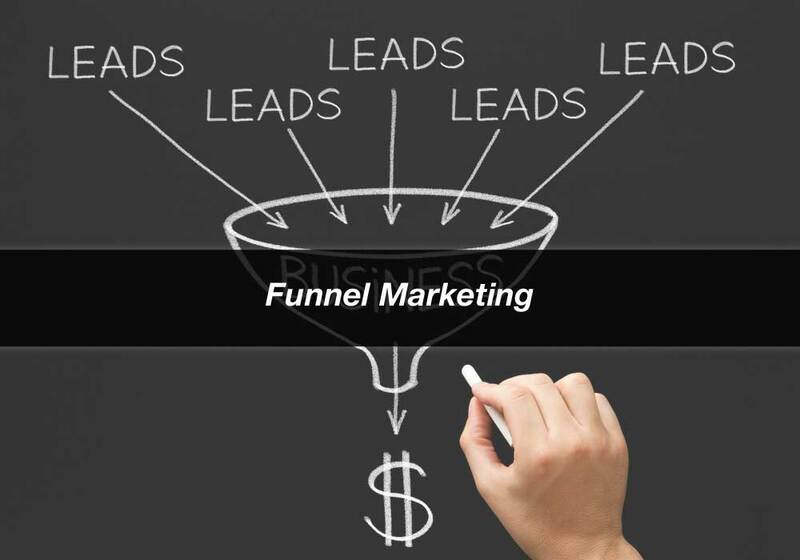 The lifeblood of funnel marketing is leads. Without leads your funnel, whatever it looks like is never going to spit out sales at the end. As a result funnel marketing often has what I would consider to be a sometimes unhealthy fixation with cost per lead or CPL. I bet you’ve got a pretty good idea of what a good cost per lead looks like to your business? And yes there will always be variables and outliers and there will probably never be a hard and fast figure, but I bet you’ve got a figure in your head at the moment. Having a low CPL and a long marketing funnel is a tempting proposition. It means getting leads is generally easy. You have a big and diverse pipeline which spreads your risk. Your startup costs might be lower because you don’t need to shell out big stacks of bills in advance on your marketing to grow a decent pipeline. There’s a variable cost associated with each new lead (managing the data, sending email, handling social media, dealing with useless enquiries) they all stack up when your pipeline is bulging with thousands of leads at anyone time. But perhaps most importantly, it’s not always as easy as you think to hit that low CPL figure and it’s going to rule you out of a number of marketing channels because the figures just don’t stack up. Let’s look at a hypothetical example of a funnel marketing campaign with a target CPL of $10 and we’ll call a lead an email signup through some sort of list building activity like a webinar. At least 50% of the people who sign up for your webinar won’t attend and you’ll never hear from them again, so straight away you need to be getting sign ups for $5. Let’s then assume you’ve got a landing page that converts at 20%- that’s probably unlikely for a webinar but anyway, we need to get clicks for $1 to hit the $5 signup target. But what can we do and what can we buy for $1 per click? Facebook ads – yep definitely at the moment you should be able to comfortably get a CPC under $1 on Facebook. But for how long I don’t know. And being realistic, unless you’ve got a lot of your own data you won’t be able to maintain that high conversion rate forever. As you burn through your audience you’ll find it harder to get results over time, not easier. Google Adwords – here that 20% conversion rate might be more achievable if you’ve got a good supply of niche specific keyword traffic, but a sub $1 CPC? In some niches that’ll be easy but if you’re selling high a high ticket item or service you can assume you’ve got competitors willing to out bid you, pushing your costs way above $1/ click. Content ads – taboolo, outbrain etc. Cheap clicks abound here but a 20% conversion – no chance, this is display advertising. Let’s say you can do 5%, now you need clicks for $0.25- that’s possible but you’re sacrificing impressions and not reaching your maximum potential market. Other social – Twitter, LinkedIn etc. Have you seen the average CPC on LinkedIn? No chance there. Twitter might be doable if you know what you’re doing and can convert well but it’s going to be tight. SEO – you can forget about driving volume through SEO at this sort of CPL level. So however you’re planning on driving traffic, set your CPL target too low and you’re putting an artificial ceiling on the people you can reach and the amount of targeted traffic you could generate for your funnel. You’re effectively shutting your campaign off from all sorts of great traffic because you’re too cheap to pay for it. Plan a) Buy cheaper traffic – yes but do you think those cheap clicks will convert the same into leads and further down the funnel into sales? Maybe, but maybe not. Plan b) Convert that traffic better into leads – an admiral plan but at some point that’s probably going to mean sacrificing the quality of your data by accepting softer leads whether it’s email only data, single opt in or over the top ‘bribes’ that pull in the cheapskates, not the whales. A little bit of plan A or B is usually ok but pull too hard in either direction and your $10 CPL target will soon become an $8 target and so on. What you really need to be doing is avoiding this race to the bottom altogether and instead focus on getting more value from each lead. But that doesn’t mean it’s not true. The quickest way to escape getting sucked down the proverbial cheap traffic drain is to stop focusing on traffic volume. Accept a higher CPC in exchange for better quality traffic. And I don’t just mean ‘more likely to convert into a lead’ kind of better but ‘more likely to actually buy something from you better’. Throw away your lead target and instead work to a sales target. So maybe that means overlaying your Facebook audiences with a demographic profile of someone who actually has money to spend. Or focus on the Adwords keywords that are most blatantly relevant and showing buyer intent. ie “the best online personal trainer” rather than “free online personal training tips”. Are you actually sure that fancy sales funnel you created in your expensive marketing automation software is doing the best possible job of converting leads into sales? I mean have you tried phoning people up and talking to them, setting up a face to face meeting (the horror) or at the very least sent them a personal email that doesn’t come from some innocuous marketing software? Don’t assume that traditional email funnel marketing is the best option for your traffic if you haven’t tried anything else. Instead of giving something away in exchange for the lead. Why not create something of such immense value that you can actually sell it. Albeit at a super competitive price. In fact why not make that price your CPL figure and let your prospects cover the cost of your marketing. You will need a stella offering and you’ll probably want to warm your leads up in some way beforehand, so they trust you enough to get out their credit card. It should also go without saying that someone who’s already brought from you is far more likely to buy your higher ticket items in the future than someone who just wants your freebies, o you know everyone in your funnel is already a buyer. Doh. One way to leverage a higher CPL target is just to charge a bit more higher up the funnel. Just as long as it doesn’t reduce your sales conversion rate. As above, but you know, like… the exact opposite. Maybe halving your price will more than double your sales conversion rate, giving you more wiggle room with your CPL? Give it a go. Investing in making your product or service suitable for an international market can profoundly effect your ability to scale and to drive cheaper leads. Ad space is always cheaper in non-English speaking markets with very very few exceptions so the ost of delivering a product internationally may soon be offset by significantly lower CPL’s. Maybe your funnel is converting well at the top but there’s a big chunk of leads in the middle that go cold when you mention the price. Introducing smaller, cheaper, but paid for products earlier not only helps to recoup some of the money you spent bringing those leads in, but also warms prospects up to the big sell. One last thing to think about here. If you’re doing the right things in terms of your product and/ or service delivery you will (hopefully) see your CPL improve over time naturally. You’re going to build up word of mouth and referral traffic. You might even get a bit of free traffic from SEO and you’ll develop more products or ancillary services or up sells that will help you get more lifetime customer value from your past and existing customers. So the more customers you have, the faster you grow and the bigger impact you’ll see from this dripping down to other parts of your business. So what I’m saying is that if you have to pay a little more on your CPL to get more customers when you’re starting out, even if that means not making any money or in some cases even losing money then that might be OK. Because you’re growing your business and the benefits of that will come back to you in time in more holistic and less quantifiable ways. Well look at it like this. Most of the consulting clients I have today came indirectly as a result of marketing I did years ago which led to customers then and converted to referrals further down the line. Do a good job and a customer you thought was worth £2k might end up being worth £20k or £200k. This doesn’t just go for consulting, the best marketing you can do for any product is to get that product in the hands of people who are going to love it and talk about it. Play the long game, it works. Your CPL target is a fluid figure that is under your control. Quit the race to the bottom. Look for channels that will deliver the best lifetime customer value, not the cheapest emails in your Infusionsoft marketing funnel. So the next time someone asks what your target CPL is. Maybe the right answer should be “well…it’s complicated”.